Craft inspiration for Father’s Day. Needing help finding the perfect Father’s Day Gift? 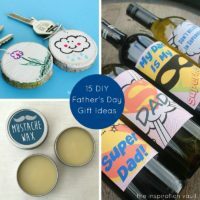 We have 15 great Father’s Day Gift Ideas- WITH PICTURES!